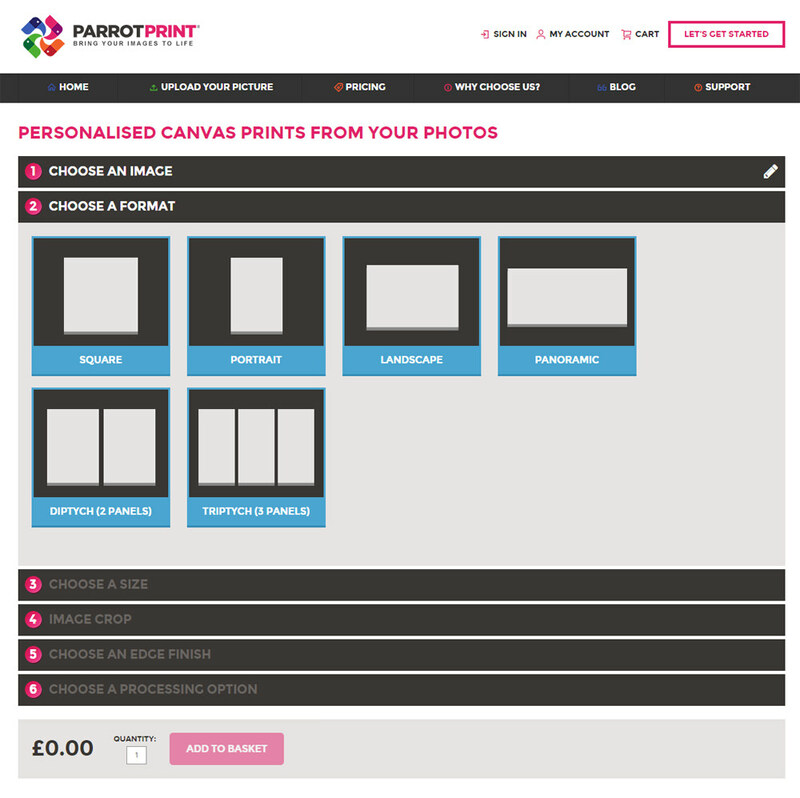 Parrot Print (www.parrotprintcanvas.com) specialise in canvas prints in a range of different sizes and styles. 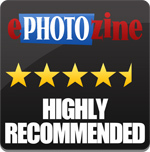 They guarantee easy image uploading and free 100% guaranteed delivery. Premium pine frames and canvas material are used along with 100+ years fade-resistant pigment inks. All their products also come with a lifetime guarantee. 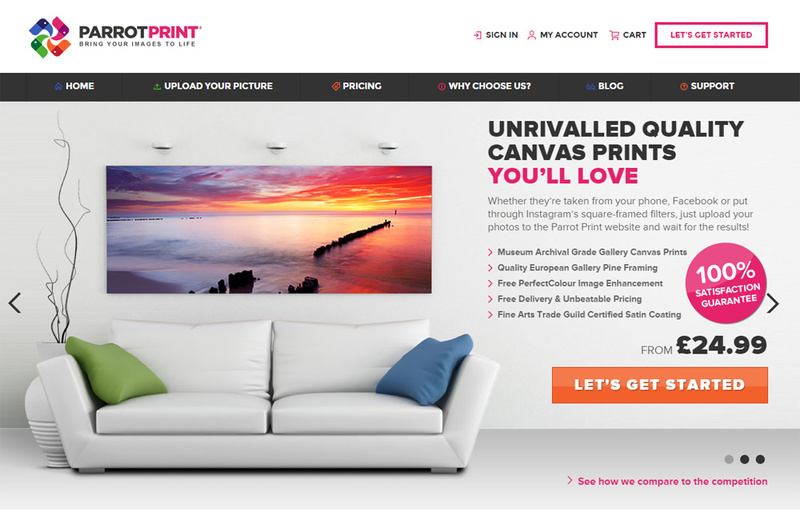 We created a canvas with them to test the ease of their online creator system and the overall quality of the final print. 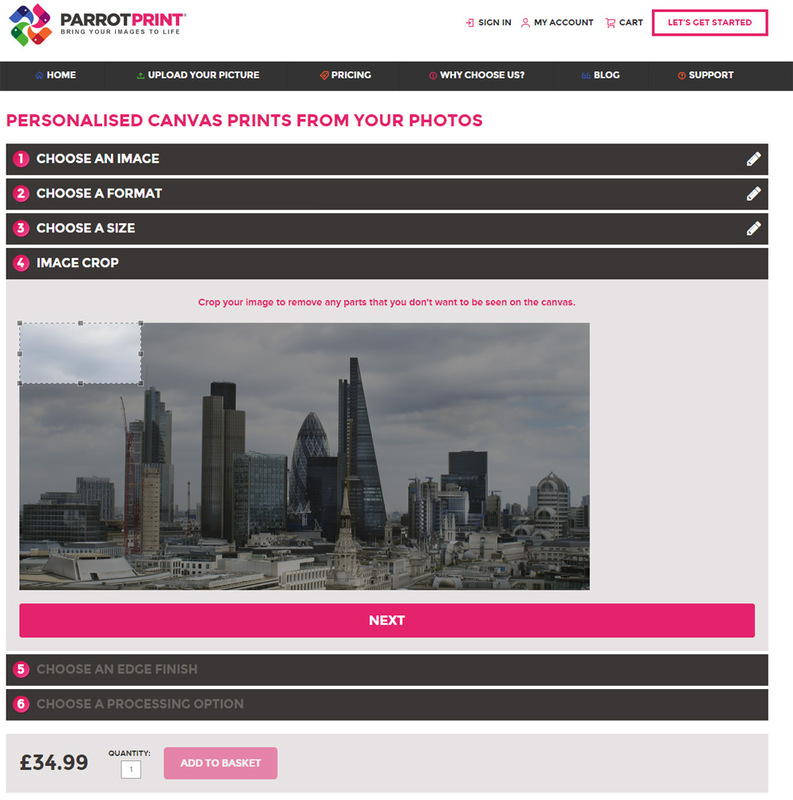 Parrot Print offer canvases in Portrait, Landscape, Panorama, Square, Diptych (twin split) and Triptych (Tri split) options. Size options vary depending on the format you choose but range from around 10 inches up to about 60 inches in length. It all sounds very impressive, with only HP Vivera pigment inks used and award winning satin coating resulting in an archival grade product, all with free delivery and a lifetime guarantee. Time to create a print. 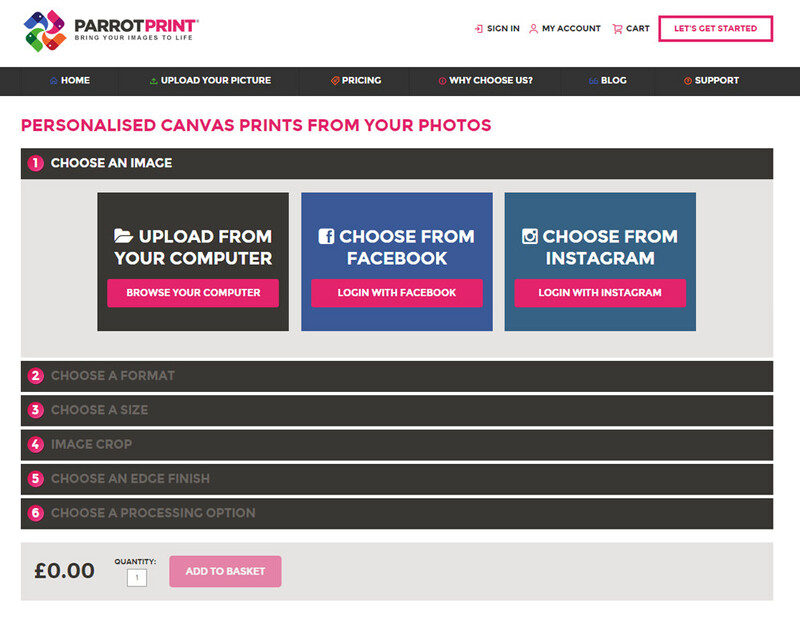 Clicking on the 'Let's get started' button on the homepage takes you to a page where you can choose where the image for the canvas will come from; your computer, Facebook or Instagram. We uploaded an image from the computer. Once you've selected the image and it's uploaded, click the 'Next' button underneath it which takes you to the format section. Here, you can choose the type of canvas you want. We went for a panoramic. Then, you can choose the size you want to go for. Pricing for these is displayed nice and clearly if this is something that will play a part in your decision. We went for a 24" x 12". Once you've chosen a size, you're presented with a window to crop your image to remove any parts you don't want on the canvas. Simply drag the squares around the edge of the crop window to size the image to your liking. Depending on the format of the canvas, if your image isn't the same size ratio as the print will be, you may find that parts of the image have to be cropped. We had to crop a little off the left and the right of our image. When you're done cropping you need to choose an edge finish. 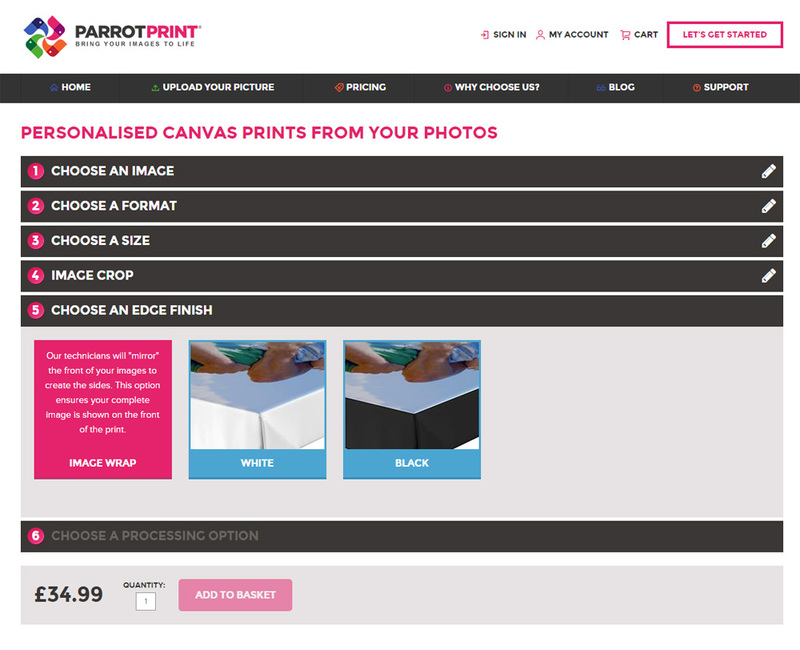 There are image wrap, white and black options to choose from. We were a little worried that the image wrap option may mean that some of the image would end up on the sides of the canvas and not the front. 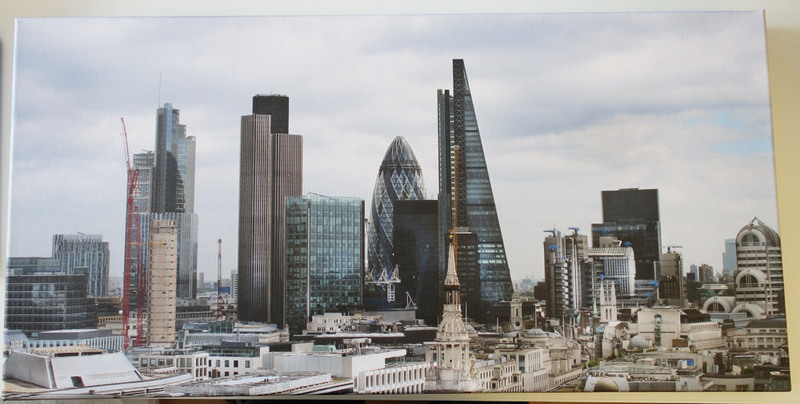 However, hovering over the option quickly reassured us that the sides would be created by 'mirroring' the image, ensuring your complete image is shown on the front of the print. We chose the mirroring option. Then, there is the chance to choose a processing option. There are 4 options. Original is your image exactly as it was uploaded. 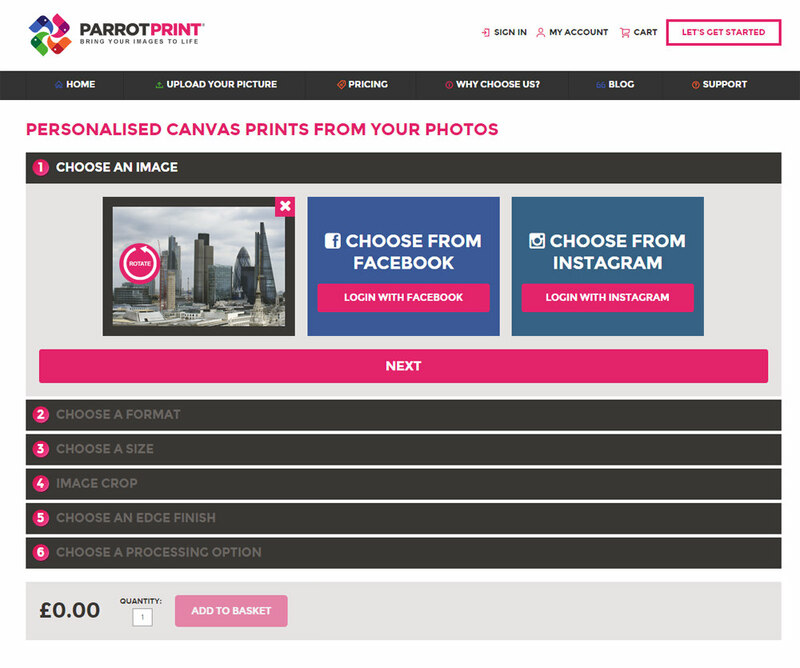 Perfectcolour will allow Parrot Print to remove redeye and make minor colour adjustments to enhance your print. Black and white and Sepia options are also available. We stuck with the original option, to see if the finished print matched the original colours seen on our colour-calibrated monitor. When you're done, click add to basket. Then you can input your details and pay. There are 2 delivery options, free standard delivery that will take 5-7 working days and Express delivery that would be £7.95 for our print size, with delivery in 1-3 working days. We chose free delivery. 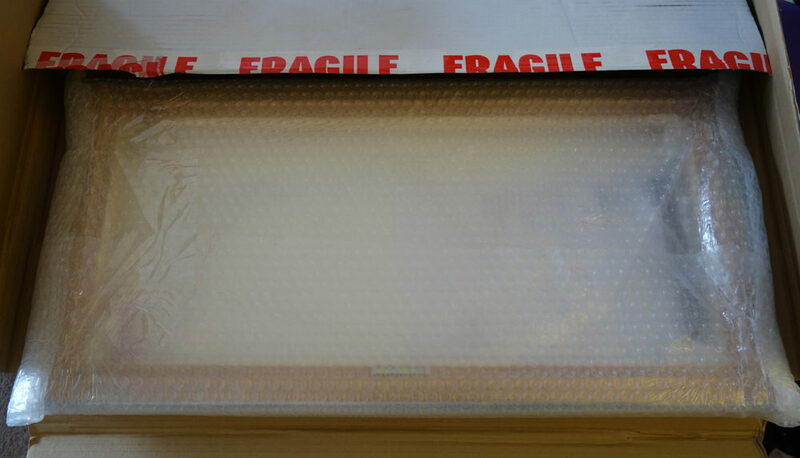 The canvas was delivered in a thick cardboard box and was wrapped in a couple of layers of bubble wrap to protect it. We were impressed by the robust and solid feeling frame. Many canvases can feel a little flimsy, but the solid pine frame used here makes the Parrot Print offering feel like a premium product. Included is a metal nail rest for easy hanging when placing on the wall. The mirrored edges option we went for has worked well to make the image appear to be on the edges of the canvas without actually cutting any of the image off of the front. The print quality is very good and the colours are accurate to what we saw on the colour calibrated monitor. The canvas used is quite thick and textured, and feels nice and taut. 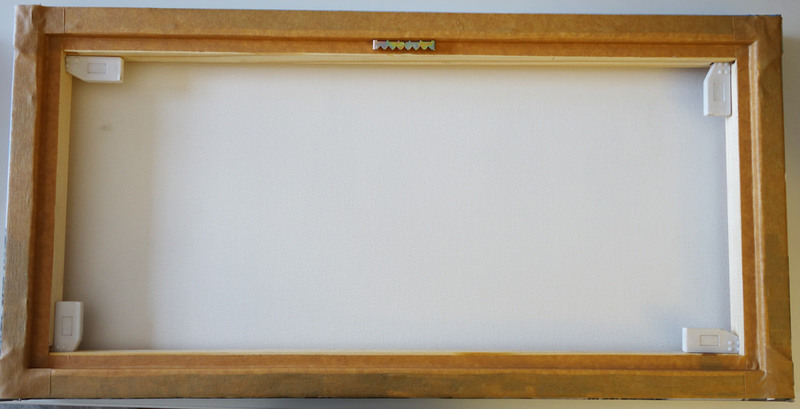 Despite the quality build, the frame canvas isn't overly heavy, which is good as it won't put unnecessary strain on the walls/nails. Looking at the quality of the canvas, £34.99 for a 24 inch x 12 inch, the size we got, seems like a very good price. The canvas uses premium materials and has a quality feel. It's well finished, something that's often missing with other canvas manufacturers who don't take as much care with the folding of the canvas around the frame, for example. There are lots of companies out there that make canvases but few will be able to rival the build quality of this for the price point. Overall, we're extremely happy with the Parrot Print canvas and it'll make a great addition to our wall art. The only slight niggle we had was with the delivery. We chose the standard 5-7 day delivery option, and didn't receive further correspondence after the initial order confirmation email. The canvas showed up out of the blue delivered by courier on the 7th working day after we'd placed the order. This could have caused issues if no-one had been around to take the order in. It would have been nice to get an email letting us know when the canvas had been dispatched so we had a better idea of when it would arrive. 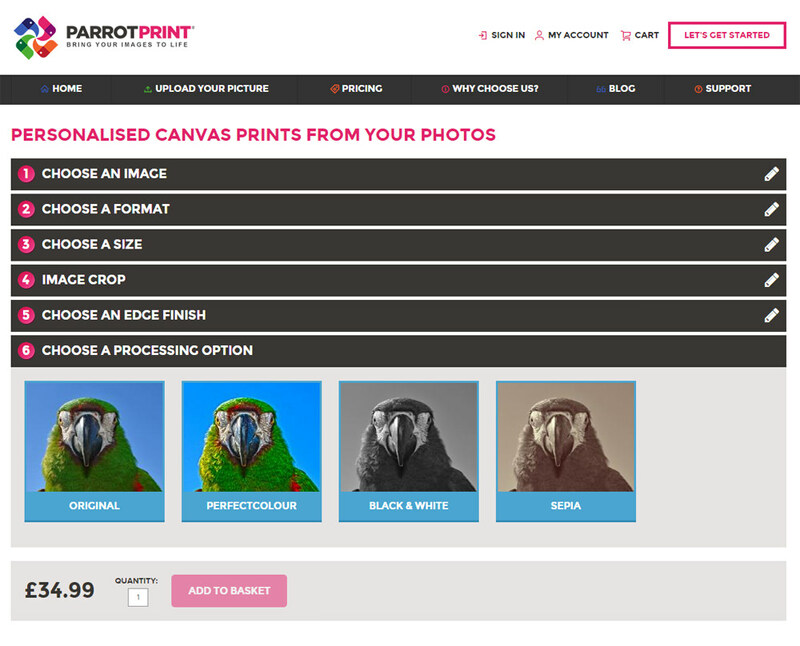 Parrot Print produce top quality canvases with fantastic colour accuracy.